This was a fun, quick, easy-to-read sci fi romance that was light on the science and heavy on the romance. The story itself is super entertaining (of course it is, there are space pirates) and is a real pageturner. It is super easy to read and will be over before you know it. The characters are cute and their banter was funny. What drew me to this story was mostly the promise of these characters and their relationships. I love the trope of eccentric characters being thrown together, having adventures and becoming a family and that was definitely a huge part of this book. However, it all felt a bit lacking for me. Maybe my expectations were a bit too high, but I feel there should have been more to this story. More time to develop the characters. More time to develop their relationships. More time to make you really care about each and every one of them. More time to develop the romance. More time for the crew to have epic space adventures together. More time to develop the world. More time to set up the plot twist ending. As it was, it all felt a bit rushed and I could not get fully into this. I could not quite believe in the character development. I could not fully believe in the relationships, as it all just happened too fast. The romance was cute and sweet, but predictable while it should have been epic. And I thought the ending could have been better explained. I just needed a bit more time as a reader to be convinced, and I did not get this. 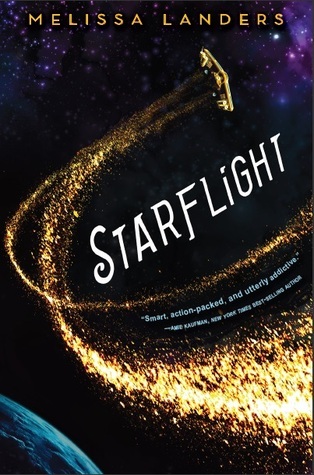 That said, I did enjoy this book and I will pick up the companion book Starfall when it comes out. Perhaps that will provide that little something extra that I was still missing here.